I am always delighted to return to Parham House, which reopens this Easter Sunday. For me, Parham is one of the most beautiful homes in all England. I admire this special and hopeful place and its current custodian, Lady Emma Barnard, who lives here with her husband James, a successful London Barrister, and their two boys. Attention has been diverted from the recent fire and all is shipshape for the Easter opening. “I love it when the visitor season and first opening approaches,” Lady Emma declares. 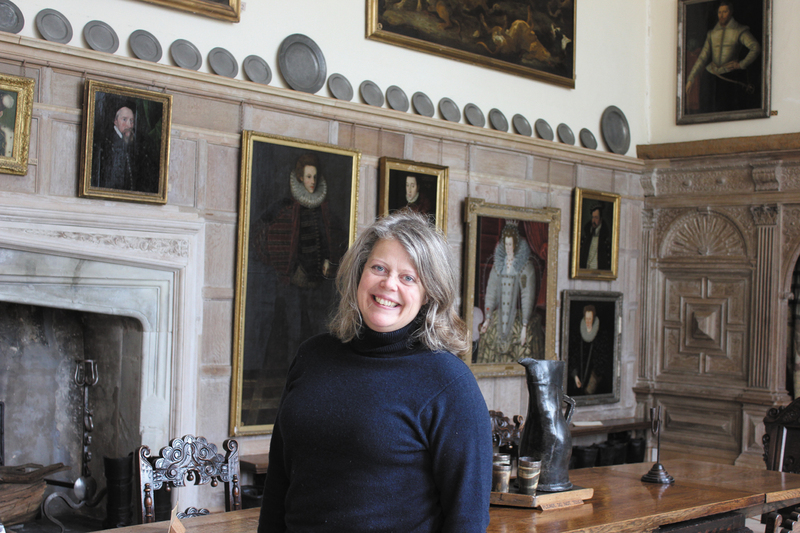 “It’s always exciting as the house’s treasures emerge from their winter covers – but there’s always so much to do.” This delight in sharing the joys of Parham is something Lady Emma has in common with her great-grandparents, Clive and Alicia Pearson. They opened Parham to the public from 1948, not out of need but out of a genuine desire to share their home with others, a tradition which was continued by Emma’s great-aunt, Veronica Tritton. Clive Pearson came from one of the great entrepreneurial families of the turn of the 20th Century. He worked with his father and brother in the family civil engineering firm. Each generation has a collecting and aesthetic bias and for the Pearsons it was an admiration for the older English manor house, in sympathy with the antiquarianism of the 18th Century, rather than the reinterpretation and imitation of styles of the Victorians. It should be unsurprising that, once discovered, Clive and Alicia Pearson fell in love with Parham. Undeterred by the poor state of the house, they purchased it together with the estate for £200,000, a large sum of money in 1922. During the 1920s and ‘30s they carefully restored this fine Elizabethan house, installing electricity, plumbing and heating. There can be no question about the care they took to return Parham to its Elizabethan grandeur. The Pearsons furnished it with the wonderful collections of fine portraits, furniture and textiles, often searching out pieces formerly from the house or relating to its history. And yet, with its limed oak panelling and large windows, there is an airy, light feeling to the Great Hall, Long Gallery and many other rooms, which seems almost modern to our contemporary eye. Canadian forces were billeted there during the Second World War as the Battle of Britain was fought overhead. The family stayed on at the house throughout the war and a great rapport built up between them and the troops. In the grounds to the south of the house, beyond the ha-ha, is St Peter’s Church. The family’s pew still has its own fireplace and, who knows, perhaps they’ll be lighting it this Easter if this chilly spring continues. The Georgian interior reflects the light and openness of the house. There is an atmosphere of stillness and prayer, layered up over centuries. The Easter Sunday Holy Communion starts at 10am and will be led this year by Revd. David Farrant. The church remains open all day. So you might decide to attend the service or perhaps just take time to be, to rest and to reflect as part of your visit to Parham. 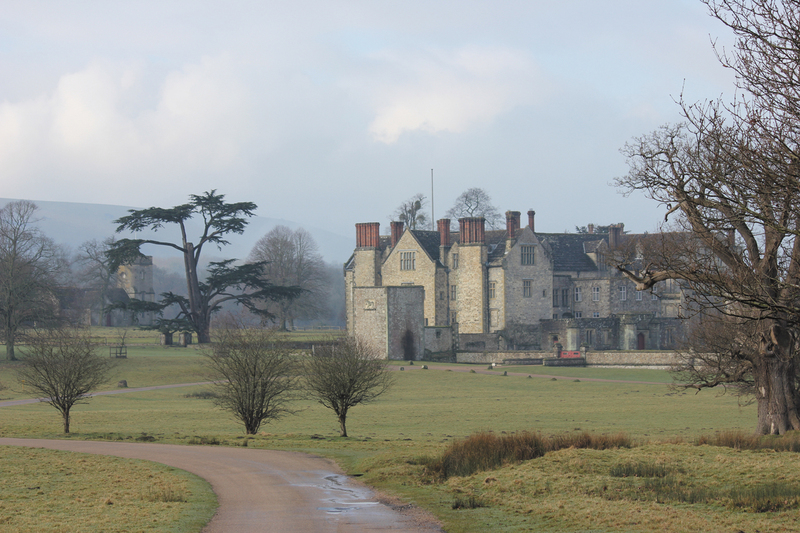 Lady Emma’s family are only the third family to live at Parham since 1577. A house and garden like Parham carry with them a weight of history and tradition; it demands a particularly keen sense of duty and service from its custodians. Lady Emma applies her own undoubted professional skills to the task. She is keenly supported by her husband and the directors of the charitable trust which has the responsibility to preserve this wonderful place for generations to come. But it is Emma’s love for Parham and her family which breathes real life into the house and gardens. “It’s wonderful for the boys to grow up in this place – we’re so lucky to live here,” she says. I think that it is actually Parham which is lucky. This really is a home, alive and welcoming. Parham is at once timeless and contemporary, intimate and grand and is matched by the generous enthusiasm and passion of Lady Emma. This optimistic place provides a window onto our past and our future, an historical narrative from the first to the second Elizabethan Age. It speaks to us of our own place in the extraordinary procession of human history. Whether you are visiting for the first time or returning, Parham never fails to captivate and delight anew. The covers are off! Parham House and Gardens open on Easter Sunday 31st March 2013 at 2pm and 12pm respectively, closing at 5pm. For more information go to www.parhaminsussex.co.uk or telephone 01903 742021. By Revd. Rupert Toovey. Originally published on 27th March 2013 in the West Sussex Gazette. I am fascinated how much we can learn from history and how objects speak across the centuries, providing us with a narrative for our own times. 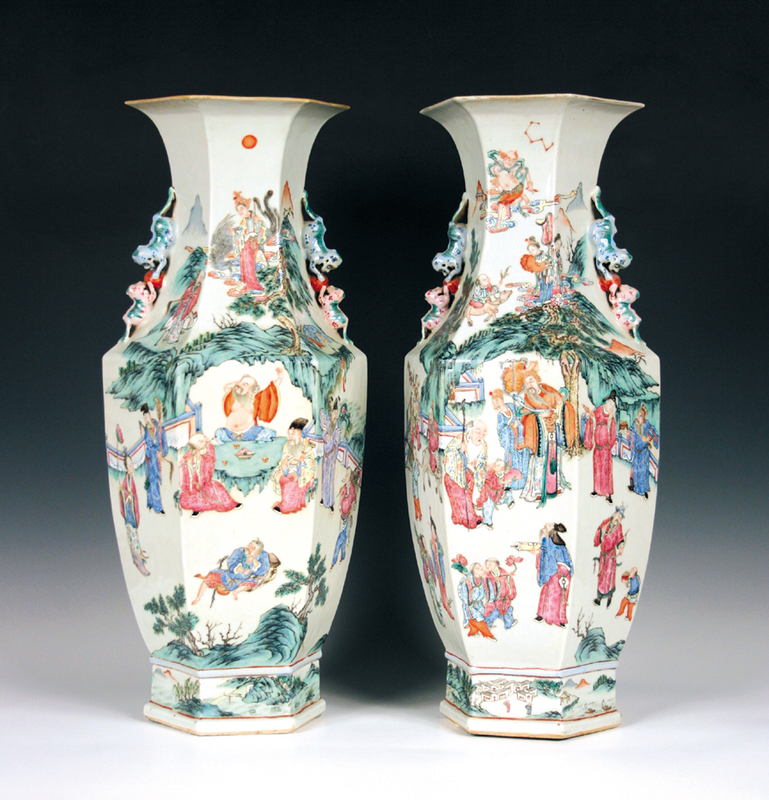 In the first of these columns I will be exploring the extraordinary impact of a resurgent Chinese economy in the collectors’ market in recent years and how its roots are in the 17th and 18th centuries. We in the West should perhaps be unsurprised by the growth in the Indian and Chinese economies. Together these two economies account for some 14.7% of the global economy’s gross domestic product (GDP). The extraordinary progress of the Chinese economy in particular has made it a major player in markets as diverse as raw materials and antiques. Values for all things Chinese and collectable has mirrored this growth, transforming markets as prices have soared. In the 18th century an East India Company Indiaman ship would order 30 tons of china of a standard and repeatable pattern. These bulk purchases were often of standard blue and white but provided important ballast just above the waterline, with tea and silks being stowed higher in the ship. There were strict regulations connected to these official imports. More important were the private trade pieces, purchased on behalf of the crew by the company representative. They were of finer quality and included specially commissioned armorial, crested and initialled porcelains. 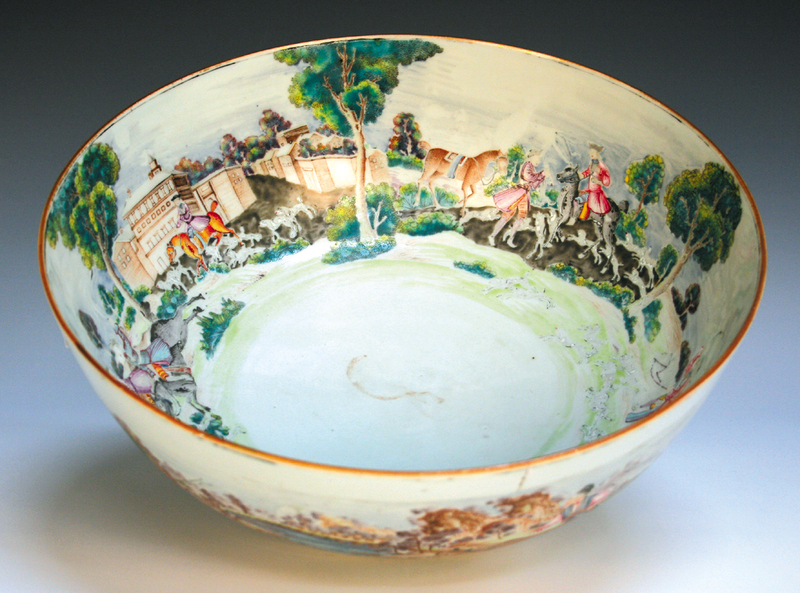 Private order pieces also depicted European figures, like this Qianlong period bowl (pictured above), circa 1750, depicting hunting scenes, which I discovered in a collection in the west of Sussex two or three years ago. These items were purchased either to fulfil private commissions or would be sold through the East India Company’s auctions in London. 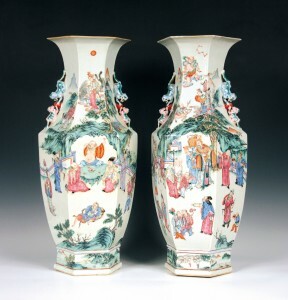 It is still these refined pieces which carry most favour among discriminating collectors in the market today and they are still being sold at auction, like this pair of mid-19th century Chinese famille rose porcelain vases, which realised £20,000 last year. Today, however, these objects are increasingly returning to China. Demand from China on collectors’ markets is already having a profound effect. Imagine if, together with India, they recover their historic economic position. Between 1500 and 1850 AD, China and India accounted not for 14.7% but between 50% and 60% of the world’s GDP. It will be intriguing to see how their tastes develop and affect our market in the future. By Revd. Rupert Toovey. Originally published on 20th March 2013 in the West Sussex Gazette. 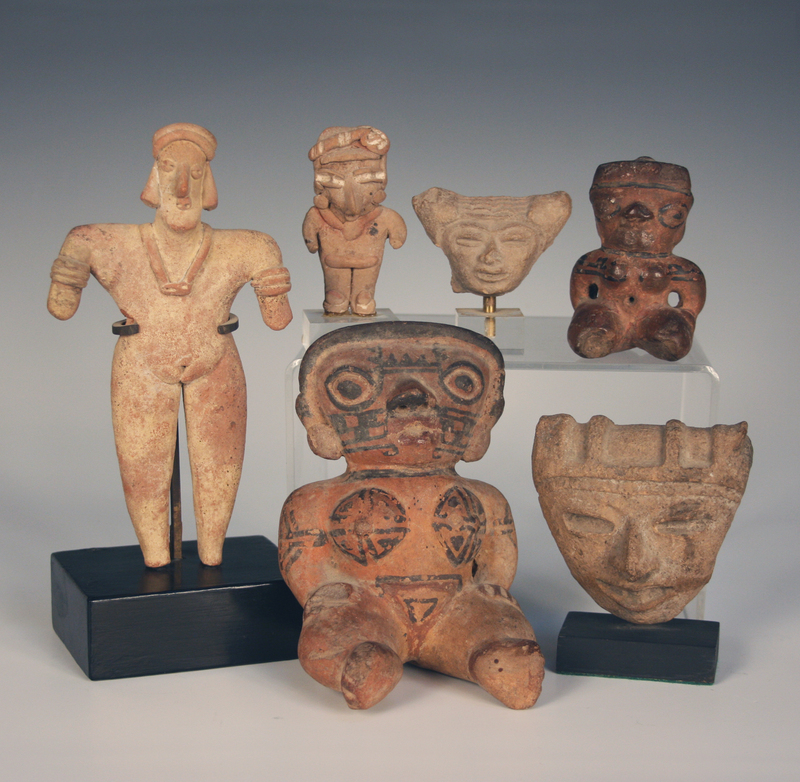 Toovey’s March auction includes 45 Lots of Pre-Columbian Pottery and Other Antiquities, all consigned by local private collectors. Pre-Columbian is a term that refers to an era preceding Christopher Columbus’s Voyages of 1492, but is often used to denote a period prior to European influence. Among the group is a Pre-Columbian carved stone head that is probably from the Olmec civilisation, the first major civilisation in Mexico that possibly dates back three millenia. Perhaps more surprising than the age is the pre-sale estimate of £80-120. Unfortunately, while early antiquities are collected, they often command lower prices than many modern collectables. At £300-500 a Mexican Totonac light red pottery figure is among the more valuable items, although not one of the oldest, dating from 400-900AD. Modelled as a female head and torso wearing a feathered headdress, the figure has some repairs, but being over 1000 years old perhaps this can be forgiven! The figure stands 14cm high excluding the modern oak base. The Antiquities will be offered in the afternoon of Thursday 21st March. In addition to the collection of Pre-Columbian Pottery and Other Antiquities, the March four-day sale offers 1647 other Lots, including specialist sales of Toys, Paintings, Silver, Jewellery, Clocks and Furniture, to view the entire online catalogue please click here.